A lipstick I've been dying to get my hands on is finally in my possession. Thank you to the very generous Keautystore for sponsoring me this beautiful lipstick! Ever since I laid eyes on Etude House's Princess Etoinette collection, I've been helplessly in love with the sweet and girly design. 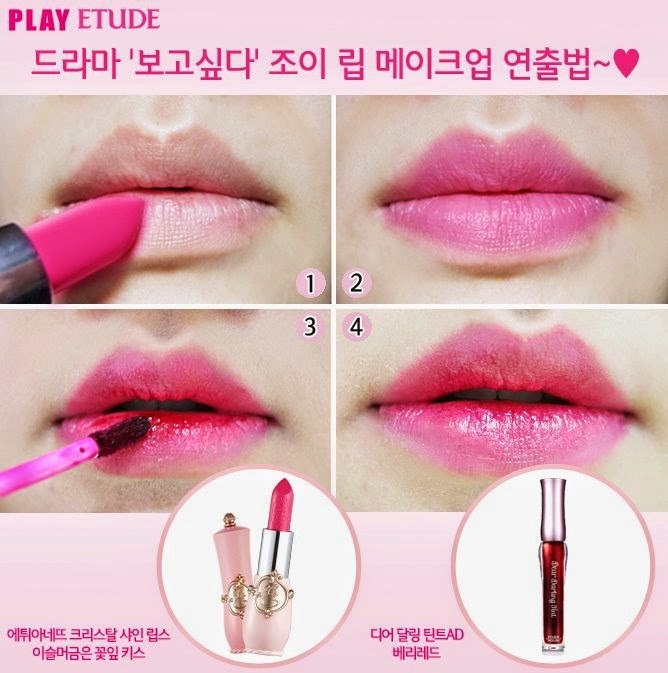 They must have a brilliant team of marketing folks over at Etude House to know their fans so well. 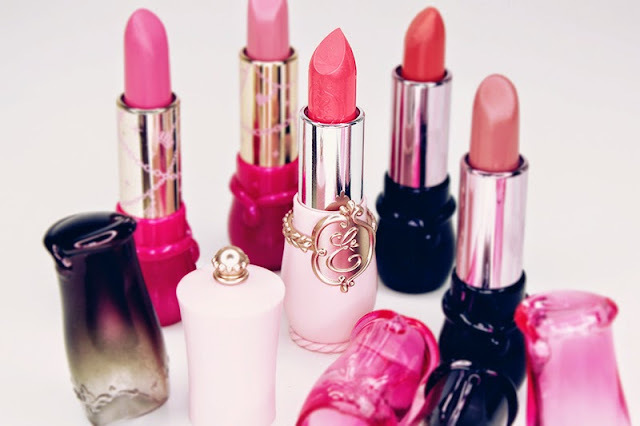 The collection includes brushes, blushers, powder, and these fabulous lipsticks. Besides the adorable pink and gold packaging, this bullet lipstick even comes with the logo imprinted on the lipstick itself. You all may know my weakness for coral/peachy tones by now, and I chose the shade POR202, which is a bright orange-pink tone with small glitters and a very creamy finish. The color depicted in the color chart is actually very accurate in showing its true colors. Under certain lighting it can look more pink than orange, but still just as bright! The small glitters are not very noticeable upon application and do not cause any sort of gritty/dry feeling. The texture of this lipstick actually surprised me as I have tried a couple of their other lipsticks that have a more matte finish. 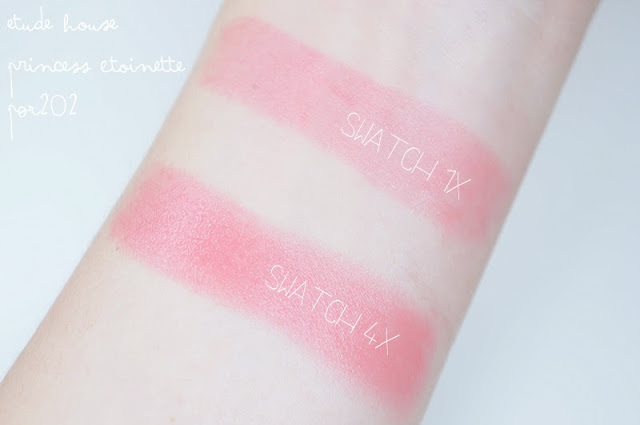 This lipstick was extremely creamy, also because of it's sheer formula, so that it is able to provide that healthy glowing look paired with a gradient lip that so many girls like to sport. The color is definitely build-able, the first coat being pretty sheer. After a couple hours of wear it leaves behind a pretty tint. It is recommended to use it with a lip tint to achieve the perfect dolly gradient lip! The lipstick packaging stands out compared to their previous lines! 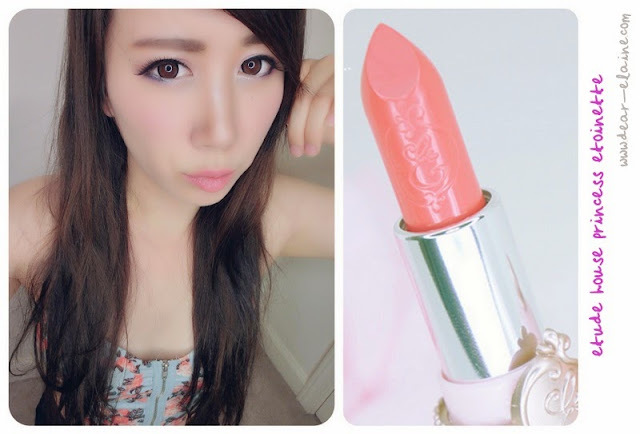 This lipstick can be purchased at Keautystore here. They were also nice enough to offer a 5% discount coupon code for my lovely readers! Also, with Google Reader coming to an end next month, please remember to follow me on Bloglovin! Lovely coral colour, looks great on you! I've been wanting to get a lipstick from this line for sometimes now, going to get some soon. Thanks for the review! 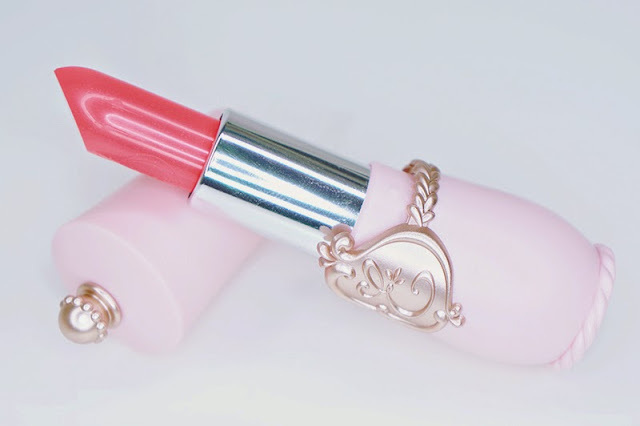 Omigosh, WHYYY is this lipstick so darn cute?! (The price puts me off though, arugh!) Love the colour, too! ^__^ Thank you for the review! This is a beautiful lipstick, I'm surprised at how beautiful the colour is! It's very soft but enough for you to notice that you actually put something on. 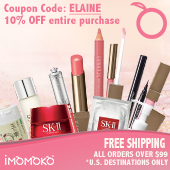 The pink toned colors are very sweet, I'm sure any of the colors would look great on you! Me either! I've been a fan for years, but thank goodness for online shops to get my fix! Thank you! I'm still trying to ghettobox it with a bunch of pieces of poster board.. ORZ I hope nobody will see my setup LOL! Me too! I'm dying to get the powder and blush containers to just put on my desk! Oh I know that feeling all too well... But it never ends well because there's always such cute stuff being released all the time! Thank you! It's really beautiful in person too! I KNOWWWW! As soon as I saw the release on their website I was like.. *__* BUY IT ALL! Thank you! I must say the packaging is a huge part of the appeal! It is absolutely adorable, I agree! I have to say, it's actually pretty good inside too! Since the healthy/glowing look is in trend, this definitely is on point! Thank you!! These kind of colors are my weakness! Etude House stores are like the epitome of girly/sweet/princess heaven! I was surprised too! I usually think sheer lipsticks are more like tinted lipbalms, but this has a really glossy finish! When I opened it I was in shock at how cute it was LOL! Love the colors! This shade is lovely on you. I just love the packaging for the Etoinette line. Ahh, I have a smaller one too, but I used the 18" one for these pictures! Awwww thank you!!! I love these kind of colors, so probably 70% of my lipsticks end up being in the same color range LOL! Thanks! Every time you post I'm like ohhhh, I need that one too! You post so many Etude House products I've now put on my wishlist because they look so good on you! ♡♡ I know! All the shades look really wearable! The colours are so gorgeous! They all look amazing on you :) Ah, you're so pretty! Ikr! I buy stuff from Etude House just because I'm a sucker for the packaging at times. Hi Elaine! I know this is weird but you have really pretty lips! Especially with POR202! Oh really beautiful colors the package is absolutely pretty! 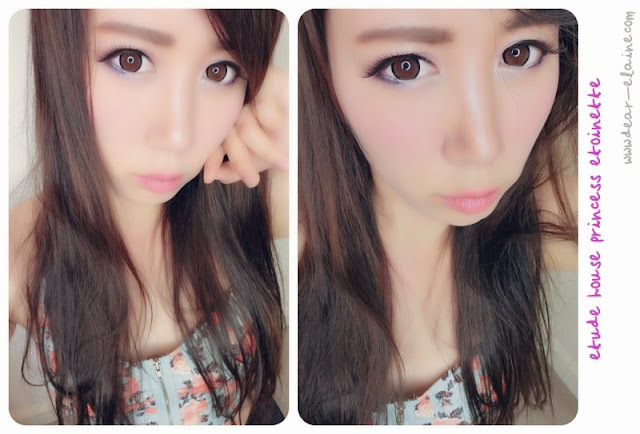 Your blog is so nice and I truly like the quality of your photos! 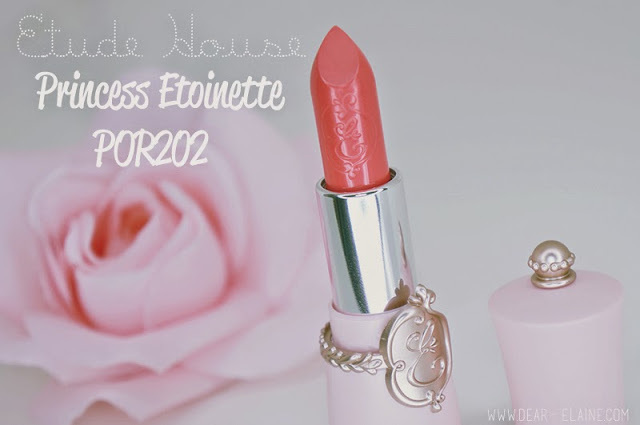 I'm a big fan of Etude House and, actually, this lipstick is in my wishlist, so thank you for your helpful review!! Hope you have a pretty day, bye bye! Really lovely color on your! I'm quite the lipstick hoarder.. This one is super cute though! It's definitely one of the most princessy collections I've seen thus far, although their store definitely makes you feel like a princess! LOL I'm actually pretty conscious about my eyebrows because I feel like they look weird sometimes! I used Rimmel's brow pencil and KATE's brow powder and pretty much did it in a straight line! Thank you Tiff!!! I know what you mean, I'm so backed up on stuff, I don't know where to start anymore. I think my sister bought it for me at Tilly's or something.. hahaha! It was on sale for around 10$! Thank you! I hope you get to try it out sometime! Thanks for reading Jessica! 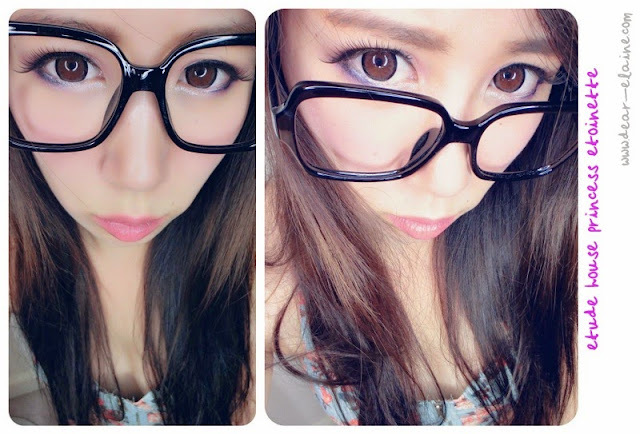 These lenses are the Princess Mimi Almond by Geo!